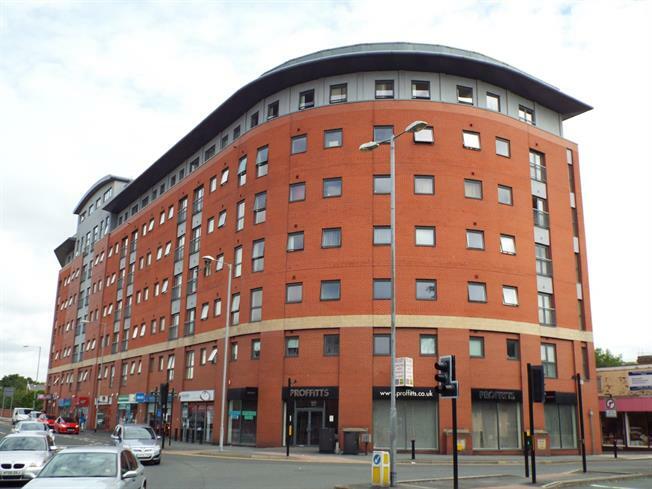 2 Bedroom Flat For Sale in Bolton for Asking Price £70,000. Offered for sale with no onward chain is this well presented apartment located within the popular Marsden House development. With secure access via the main door and a lift leading straight to the eighth floor, this property offers security and good sized rooms throughout. Internally the property comprises an entrance hallway reception room, kitchen, two bedrooms with en-suite to the master and a family bathroom. Internal inspection is strongly recommended. Storage heater, carpeted flooring, downlights. UPVC French double glazed door. Storage heater, carpeted flooring, downlights. Laminate flooring, downlights. Fitted wall and base units, stainless steel sink with mixer tap with drainer, integrated electric oven, integrated, electric hob, over hob extractor, integrated fridge/freezer with space for a washing machine. Double bedroom; double glazed uPVC window facing the side. Storage heater, carpeted flooring, ceiling light. Storage heater, vinyl flooring, tiled splashbacks, downlights. Low level WC, single enclosure shower, pedestal sink, extractor fan. Storage heater, vinyl flooring, tiled splashbacks, downlights. Low level WC, panelled bath with mixer tap, pedestal sink with mixer tap, extractor fan.